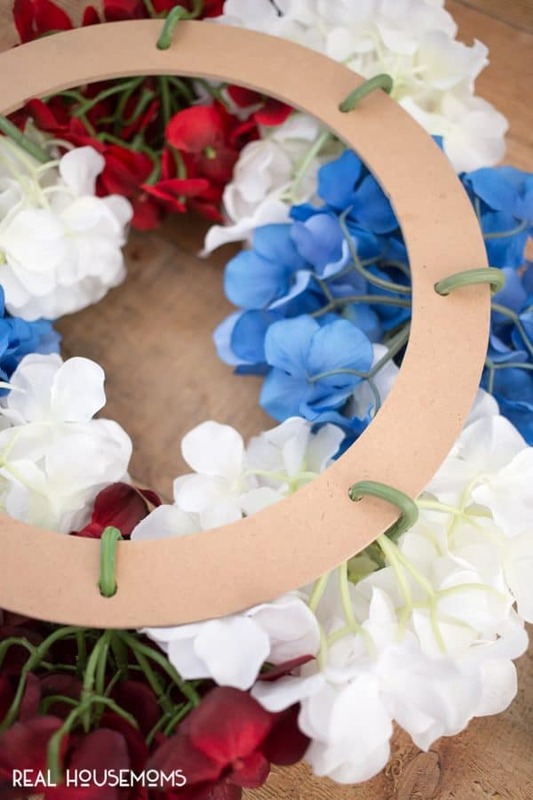 Incorporate the red, white, and blue into your home decor this summer with this easy DIY Patriotic Wreath! With Memorial Day at the end of May, it’s what I like to call the kick off to all things Patriotic and Summer! 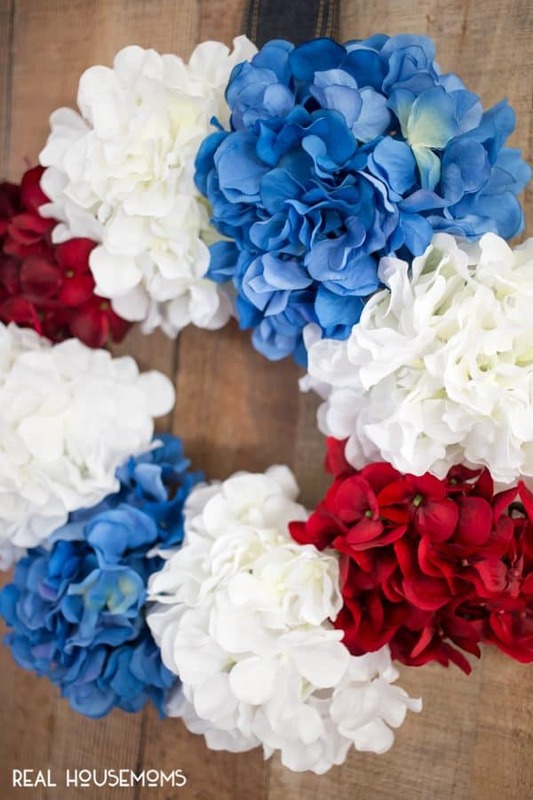 I love this time of year and I love to create with patriotic colors – all things red, white and blue! 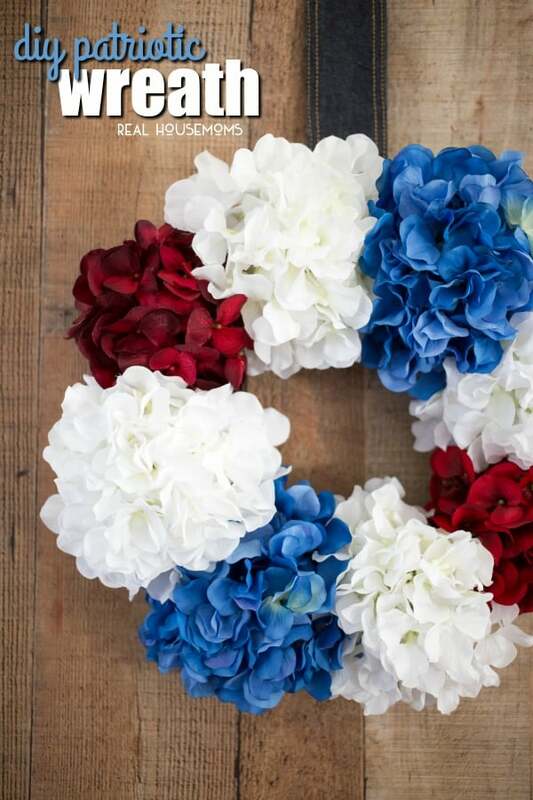 And today I’m going to show you a quick and easy way to incorporate these colors into your home decor a DIY Patriotic Wreath. I love hydrangea wreaths, but have you noticed that if you buy them pre-made they are so expensive? Just take a gander at Etsy or even a craft store. 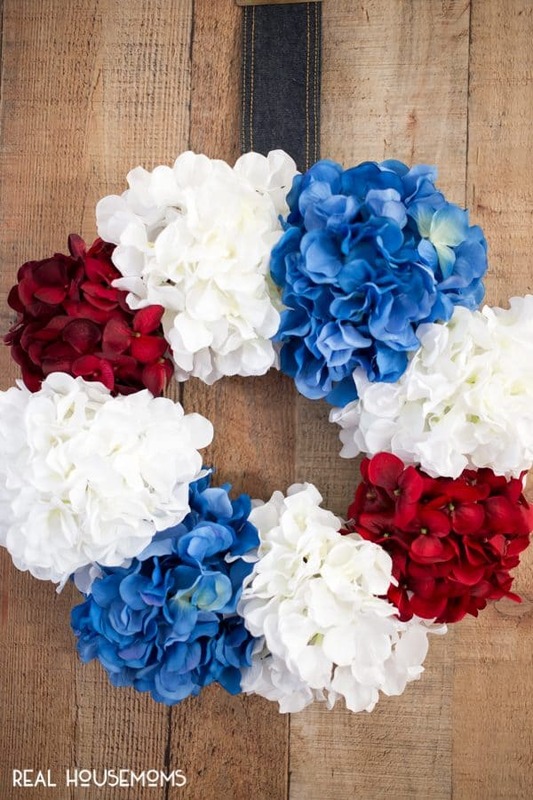 And while the hydrangea stems can get pricey too, you can take advantage of sales at your craft store (say, when floral stems are 50% off) and score what you need for this wreath to make it even more cost effective! 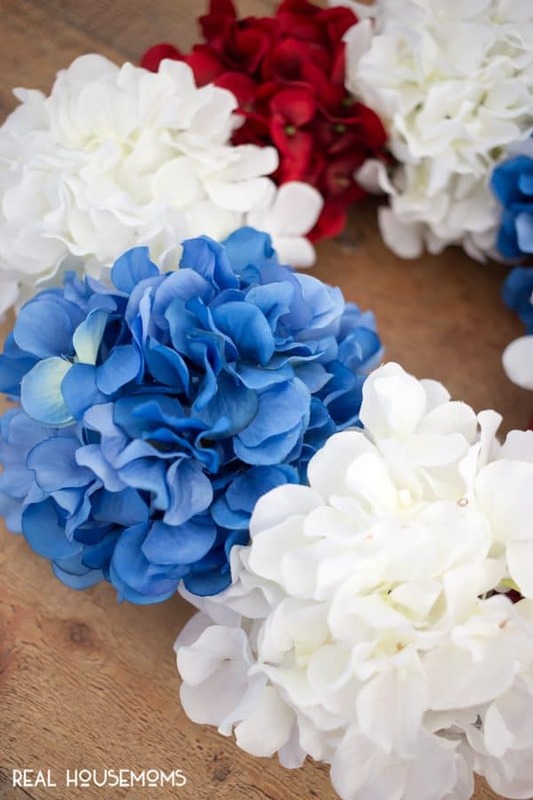 I love creating my own hydrangea wreaths and this one is just so festive and easy to put together, let’s go over the steps! 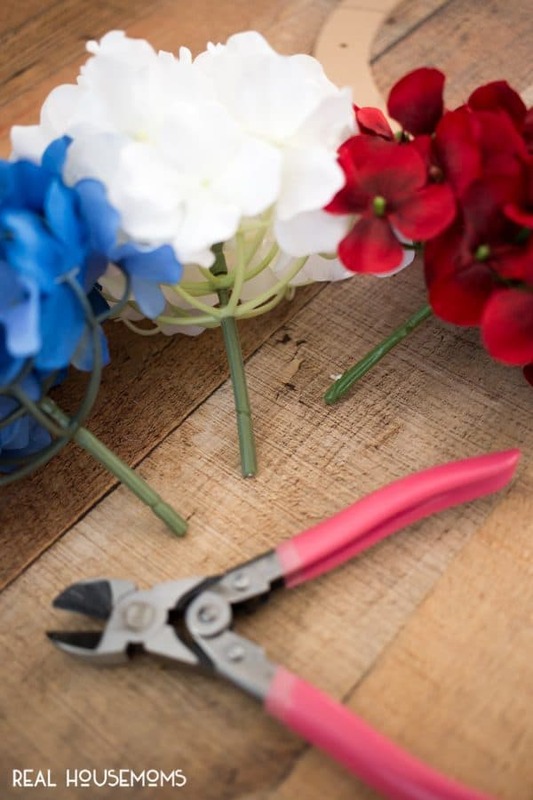 Then feed your hydrangea stems through the holes in the floral and bend down to hold in place. 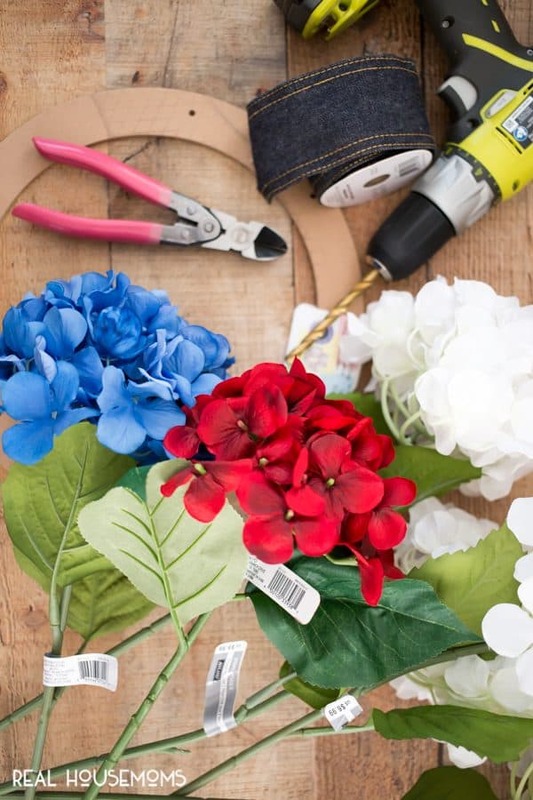 Repeat this steps to fill every hole in the floral craft ring (alternating colors) with hydrangea stems. 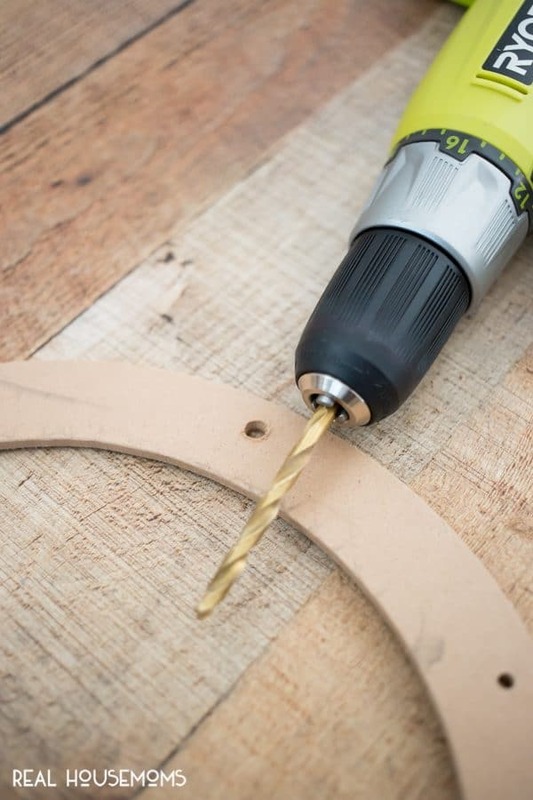 Then feed your decorative ribbon through the ring in the back for hanging – and you’re DONE! What do you think? I’m so happy with how it turned out. This wreath literally took minutes to create. No glue, no hours of wrapping – my kind of wreath! And I think it looks just as nice as so many crazy expensive hydrangea wreaths you can find out there. And trust me, this is one you can recreate too! With the flatness of the floral craft ring in the back, the wreath lays against the door just perfectly too.